I’m a business administrator and have been working in the London studio since November 2017. I have a strong administration background within various sectors including transportation and recruitment. I am currently a part time member of the team as also a mother to a very energetic three-year-old. He has taken a lot of my time and energy over my last few years of work, however is rapidly approaching school age, when I will be able to put more focus on to myself and my goals. Out of work I enjoy socializing with family and friends, and going to see live music. I like trying new foods and travelling to different places, which I hope to do more of over the next few years. 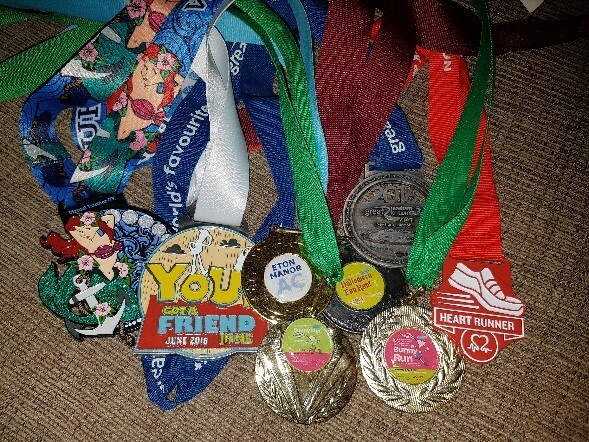 My selection of running medals. Over the last few years I have been running with a local club and can now manage 10km. I never used to be very good at or even enjoy running. Now I benefit from the physical and psychological benefits of working out.